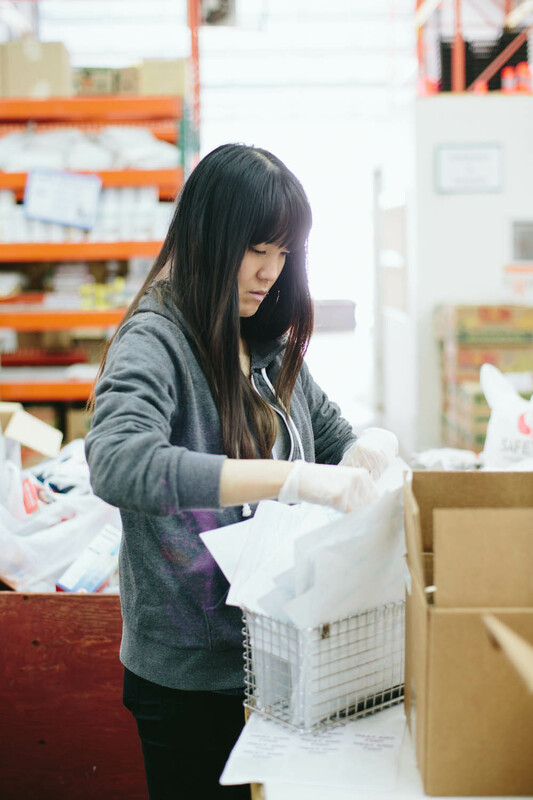 MM Cares: Volunteering at the Foodbank! Here in the MM program, we always strive to balance our schedules in terms of work and play. We’ll spend a lot of our evenings studying hard, but we’ll also make sure that we give ourselves time to play. Here at the master’s level, you’ll want to spend your time working hard and playing harder. There’s a third thing that’s just as important here, and that’s taking time out to give back to the community. As business students, we’re constantly thinking of ways where we can improve the community around us. 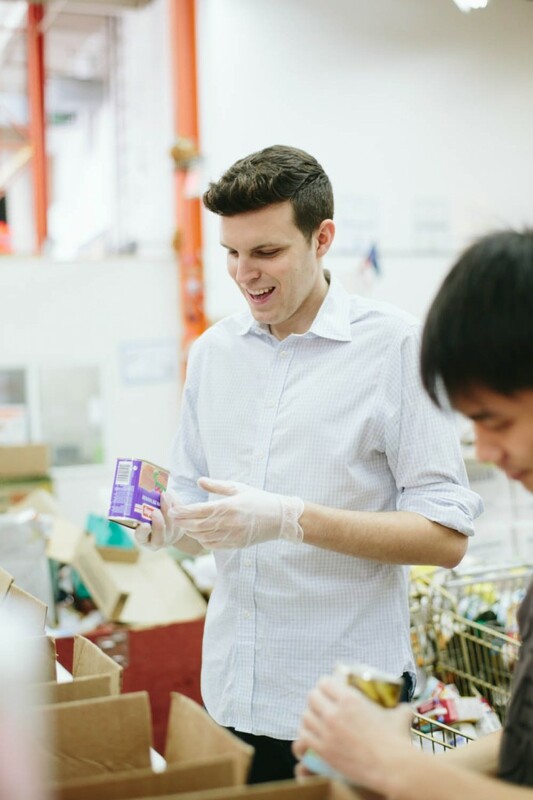 But sometimes, the best way to improve communities is, well, the simplest: volunteering. Volunteering is such an important aspect of the world around us, and it’s one of the most rewarding and fulfilling experiences you can take part in. So on a beautiful and sunny spring day, a group of a us MMers (and a few of the program staff as well!) made the trek out to the Greater Vancouver FoodBank. Here, we spent the afternoon assisting the organization with sorting through all of their food donations. And boy oh boy, are there a lot of donations. 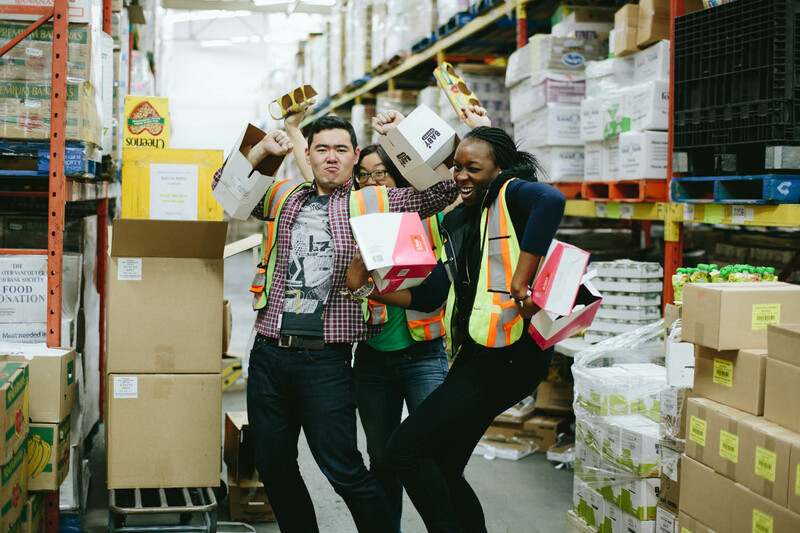 The food bank receives so many donations, in fact, that their massive warehouse of over 36000 square feet is actually filled to capacity! So what exactly did we do? There were three stations for us that day. 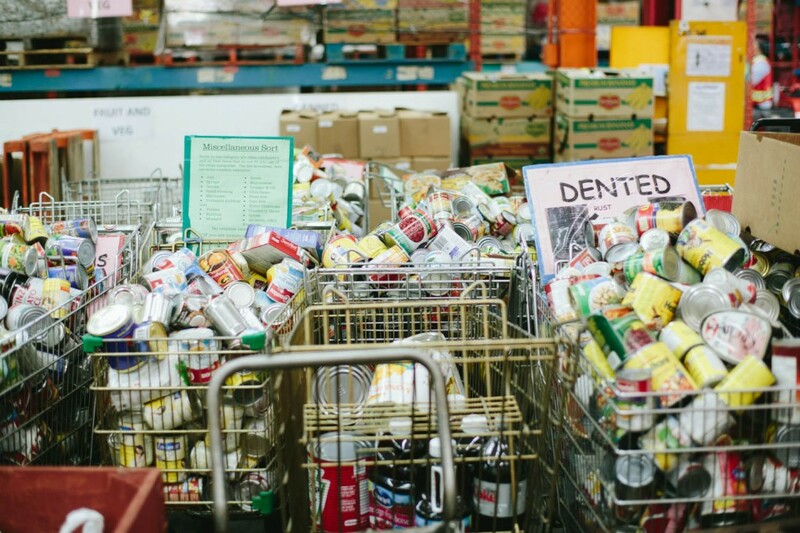 At one station, a group of us helped sort through thousands of canned goods, placing them in the right bins, and packing them up to be sent out. Another station involved retrieving produce from the warehouse’s freezer room (a chilly experience for sure!) and sorting the produce into the appropriate boxes for shipping. The third station involved creating and packing hundreds of kid’s goodie snack bags. We actually used the knowledge that we gained from our recent Operations and Logistics course and applied it to our “manufacturing” process here so that we wouldn’t have any of the dreaded “bottlenecks”. Thumbs up for real-life applications! This picture doesn’t show it…but we were actually productive. Honestly! Overall, it was such a fun day for all of us to be involved in. 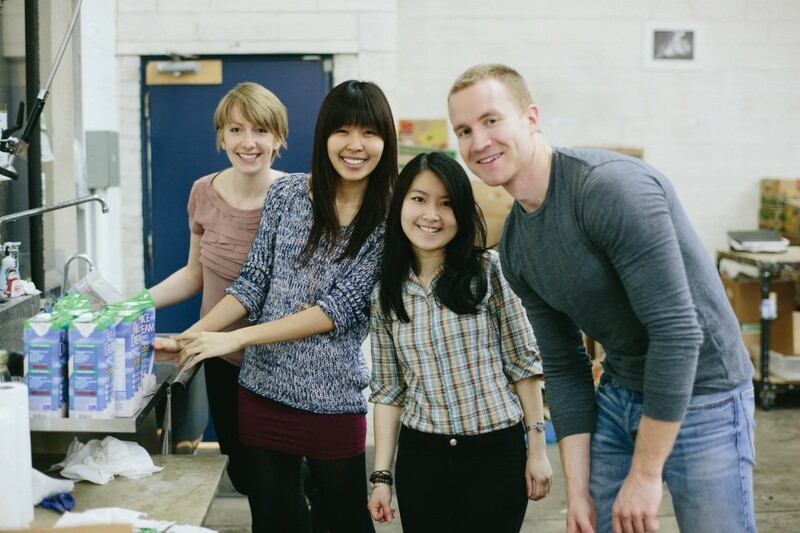 It’s great to give back to community, and we’re already looking forward to our next volunteering outreach event! As always, if you have any questions, feel free to post a comment down below! This entry was posted in Other and tagged CommunityInvolvement. Bookmark the permalink. I’m Sally an undergad student from India, hoping to join MM in 2015. The posts on this blog has been useful in getting a clearer image of the course lifestyle. I would like to know if there is anyone I can connect with (anyone currently doing the MM course or an alumni) to help me understand better and assist my queries. Thanking you! Great post! It is great to see the MM Class of 2014 involved in our local community and leaving a great legacy! Very proud of all of you!